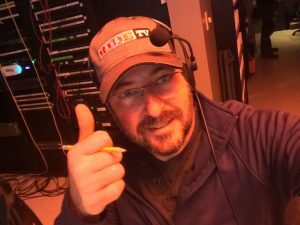 Directing and calling over 30,000 cues over 10 days while managing onsite crew and gear and offering camera, live webcast and other engineer troubleshooting skills during the live webcast for RideTV! and Dish Network. This entry was posted in Las Vegas Production, Las Vegas Video Production, Live Webcast, Show-Caller/Directing. Bookmark the permalink.